The Trade Desk powers the most sophisticated buyers in advertising technology. We were founded by the pioneers of real-time bidding, and we've become the fastest growing demand-side platform (DSP) in the industry by offering agencies, aggregators and their advertisers best-in-class technology to manage advertising campaigns across all digital channels. We’re growing our offices across the globe, from our headquarters in Ventura, California, to major media markets in the US (New York, Los Angeles, San Francisco, and Chicago), Europe and Asia. At The Trade Desk, the Data Science team is responsible for transforming our hundreds of terabytes of Real-Time Bidding (RTB) advertising auction data into actionable intelligence, using advanced modelling and optimization algorithms. Our mission is to develop new and powerful means of growing the value of our client’s campaigns across millions of web-based publishers. Our team believes in innovation that contributes to our product. In this role, you will be a key member in the development of entirely new data products and the improvement of existing ones, all while using world-class machine learning. You will interact primarily with our product, trading, and engineering teams to oversee the implementation of your data products. Your ideas and research will contribute directly to our client facing product. The Trade Desk powers the most sophisticated buyers in advertising technology. Founded by the pioneers of real-time bidding, The Trade Desk has become the fastest growing demand-side platform in the industry by offering agencies, aggregators, and their advertisers best-in-class technology to manage display, mobile, and video advertising campaigns. The Trade Desk empowers buyers at the campaign level with the most expressive bid capabilities in market, full-funnel attribution, and detailed reporting that illustrates the consumer journey from initial impression to conversion. By maintaining a pure buy-side focus, The Trade Desk delivers on branding and performance for clients worldwide. OUR CLIENTS Our clients run the gamut from ad networks offering new services in RTB, data owners looking to leverage their information, agency trading desks, to the most sophisticated buyers in RTB. How did we, and do we, continue to gather our clients? By offering a full breadth of resources and support, shipping new product features each week, and, among other core innovations, building bidding tools that target a consumer one minute after they visit a website. We’re proud to be setting the stage for the future of online advertising. 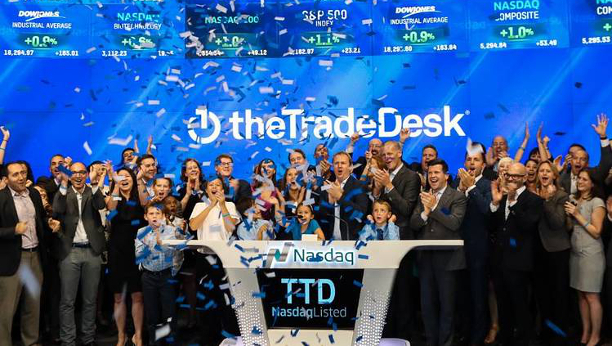 Want to learn more about The Trade Desk? Visit The Trade Desk's website. Get notified of Analytics & Data Science jobs.